Perhaps DECC has not noticed that although there may be 3.2GW of nuclear building in 2020 no way is another 12.5GW in the bag. The figure for CCS will depend upon the success of the design, which has just commenced, and what happens when a decision is made in mid 2015 remains to be seen. 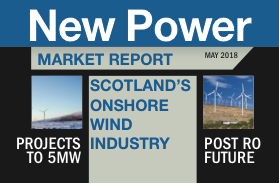 The problem is highlighted by the claims for jobs in 2010/11 in onshore wind (including supply chain) of 15,200 and in offshore wind of 16,200, which represents about 30% of renewable jobs; the respective installed capacities at the end of 2011 were 4.7GW and 1.8GW. These figures compare with the US where by the end of 2012 60GW was installed and 80,700 people were employed, of whom approximately 25,500 were in the manufacturing sector. Virtually all US wind turbines are manufactured in the US, while in the UK most of the equipment is manufactured abroad. Excluding manufacturing, 55,000 people are employed in the US for 60GW, while supposedly 31,000 are employed in Britain for 6.5GW. Even allowing for the higher manpower per GW required for offshore wind, these figures do not make sense. How many other renewables figures do not make sense? Even by the government’s standards these are flaky figures. “The figure represents an estimate of the number of jobs needed throughout the supply chain to deliver the low carbon infrastructure required to meet emissions reduction and renewable energy targets. It is important to note that this does not give an estimate of the overall or net outcome on UK employment – rather just the number of jobs supported by low carbon electricity – since a number of both negative and positive wider impacts will not be accounted for. Finally: these are gross, not net figures. Perhaps Decc has not yet worked out that spending money on subsidising more, rather than less, expensive means of making a product (viz electricity), pulls money from other parts of the economy and on a net basis destroys jobs. From New Power, September 2013. CCGTs: mothball, close, or hold on?